Routesetting in competitions is super hard work! You can’t really prevent skin from tearing up. There are so many problems to set and even more moves to do. Well planned routes or boulder problems form the basis of any competition. The best competition problems push the competitors to climb well and offer crowd impressing moves. All great competition problems start with the right holds laid out on the floor. The question is: How to choose the right set of holds or brand for a specific competition problem? 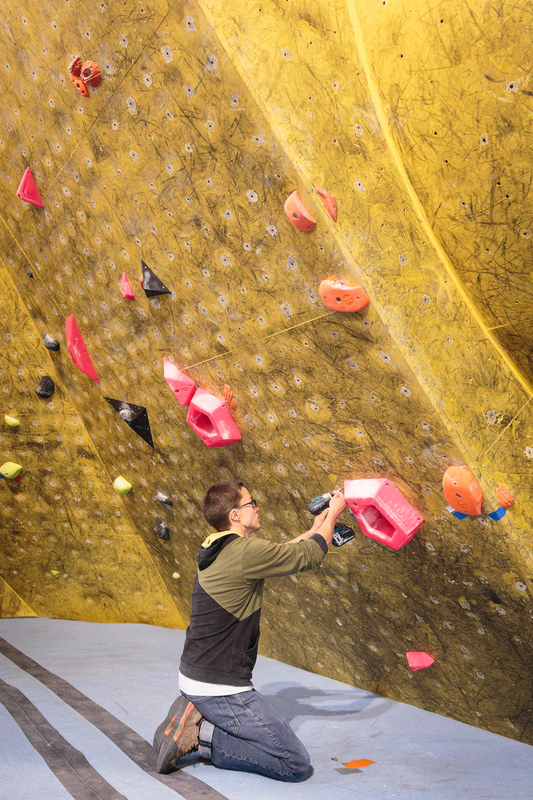 Today the climbing hold market is filled with literally thousands of different climbing holds from hundreds of makers. We asked Anssi Venho, the head route setter of the Suomen Boulderliiga — the Finnish Boulder Cup, his thoughts on what makes a great competition problem. He was kind enough to share us his insight on route setting, holds and the 2 events covered so far. 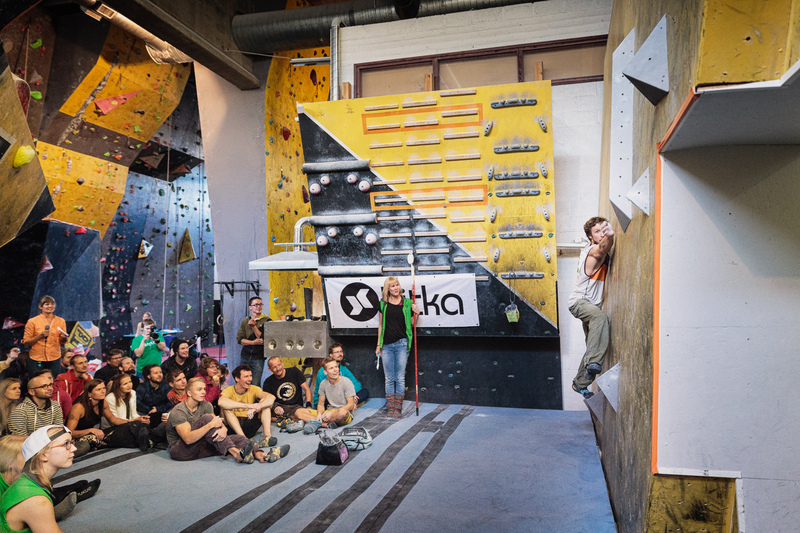 What sort of qualities do you hope to see in climbing holds, when setting for competition? – It depends on the intended difficulty level, but the competition holds need to be pretty difficult. You can’t set competition problems with easy holds. I think that tougher the hold is to grip, the better. The ones I like the most are clean, simple yet distinct shapes with smooth lines. Do you prefer some brand over another? – Not really, I’m not really favouring any single range or brand over another. Most climbing hold manufacturers have really nice sets of holds that are suitable for competition use. At the previous event in Tampere I was using Kitka Space holds and they worked well for competition setting. I also like your Groovy Edges set, but they might be more suited for lead climbing. 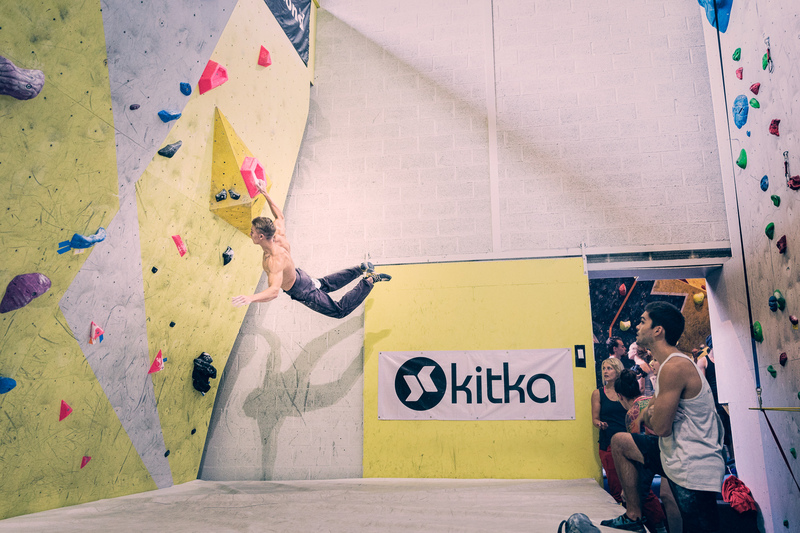 The Finnish Bouldering Cup qualifications last for 4 hours, and after that there are finals, how do you take this into consideration this when you are routesetting? – We must consider it, of course, but it depends so much on the level of the competitors. In Lappeenranta, the toughest guys and gals made through the hardest qualification routes in little over an hour. But then again, you can’t expect people to send the final routes in few minutes if they have already climbed for 4 hours. That might make even the easier routes seem tough! What is your view on qualifications at the latest event in Lappeenranta? – I’m very happy how it went! The last two problems in men’s final were a bit physical. We cranked up the difficulty quite a bit, since few of the guys climbed everything very quickly in the qualifications. As a whole I am very pleased with the start of the season in Finnish boulder cup. A lot of boxes and other big features are used in competition nowadays. It is done so that the TV and web-streaming viewers get a better sense of what’s happening. Both of these start of the season events has featured boxes. Was it difficult to make a route work with only boxes? – It was. I haven’t had lots of practice building routes purely with boxes. Normally boxes need some holds bolted on to them, so yeah, it was pretty demanding. – Using boxes bring more versatility to the setting and also make the problem more unpredictable and challenging for a climber. It’s easy to fumble, or lose balance, when the climbing is more than just pulling hard from handhold to another. Tomi Nytorp balancing on Tampere Cup finals route. Routesetting for the competition is pretty intense. The work is usually done in day or two ahead of the competition. How do you usually cope with the project? – It is super hard work! You can’t really prevent skin from tearing up. There are so many problems to set and even more moves to do that one person can’t even test everything out. 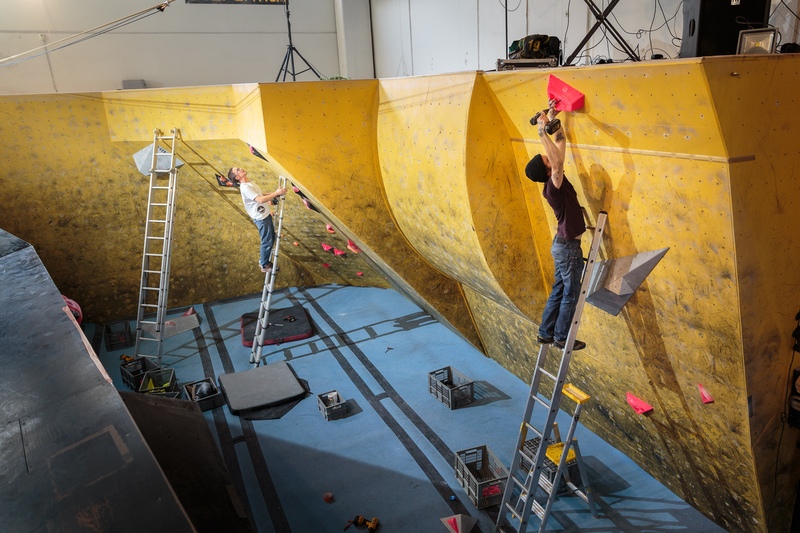 It would be excellent us, if there would be more time for routesetting, but in reality, climbing gyms cannot be closed for a week before every competition. What would be Anssi Venho “signature series” climbing hold set? If you could shape your dream set, what would it be like? – Ouch! That’s a tricky question! It’s hard to say, because I haven’t gotten lucky enough to get to test shaping my own holds. I think I would start by making clean, simple surfaces with different kind of angled cuts. Some new sets have already implemented this idea: Same holds, but with various different angles for further difficulty as in your Groovy edges. Holding a huge swing after flying through the air! A few last questions: Does hold material matter to you? PE, PU, stone or wood? – Not really, no, the light weight PU has the upside that it is easy to handle so it’s more fun to build routes with. – PE lasts longer, and doesn’t heat up in use like the PU holds. The friction lasts longer even if many people climb on it, so it suits better for difficult competition routes. – Only one material for route though! – I think both are needed. It’s true that the route must look good, but if usability isn’t there, it doesn’t matter how the holds looks like. Single move or sequence first? – My route setting often starts with an idea of a move, but the sequence comes pretty quickly after that. By hand or impact driver? Last hold or top edge? – In competition, last hold, otherwise top edge. – Sit start usually, but sometimes stand start is just fine in competitions. Thank you for the interview Anssi Venho and Tuomo Lankinen!